Are you a nice girl gone bad? 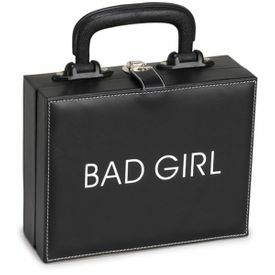 Flaunt your badness with this cool black briefcase purse. 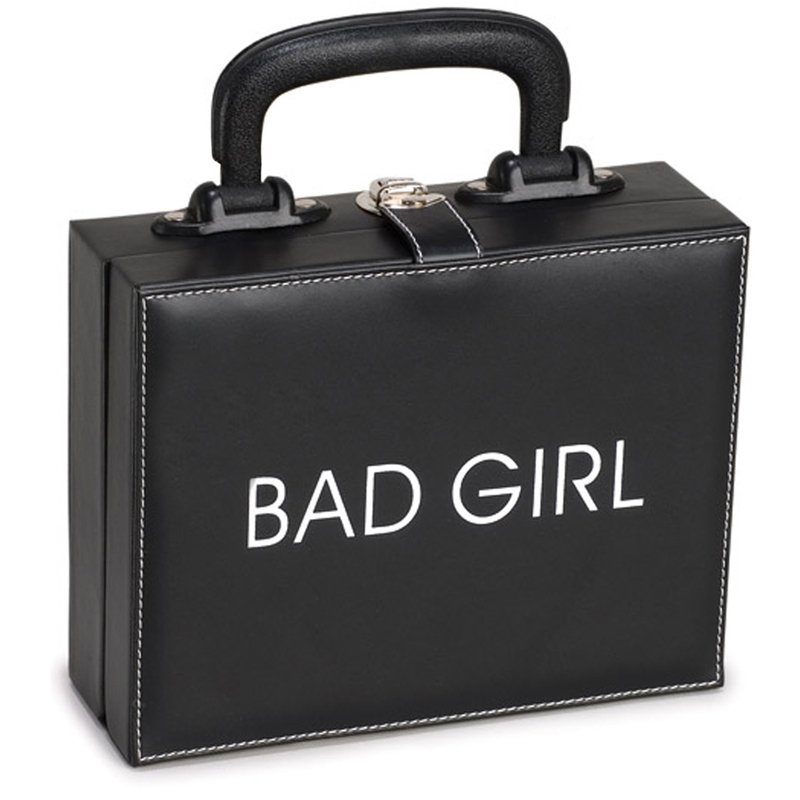 It's perfect for keeping your makeup, phone, keys and candy safe and sound.  8.5" x 6.5" x 3"